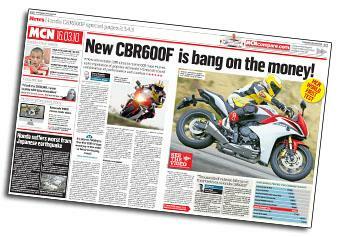 In this week's issue of MCN, on sale March 16, we have the world first test of the all-new Honda CBR600F. 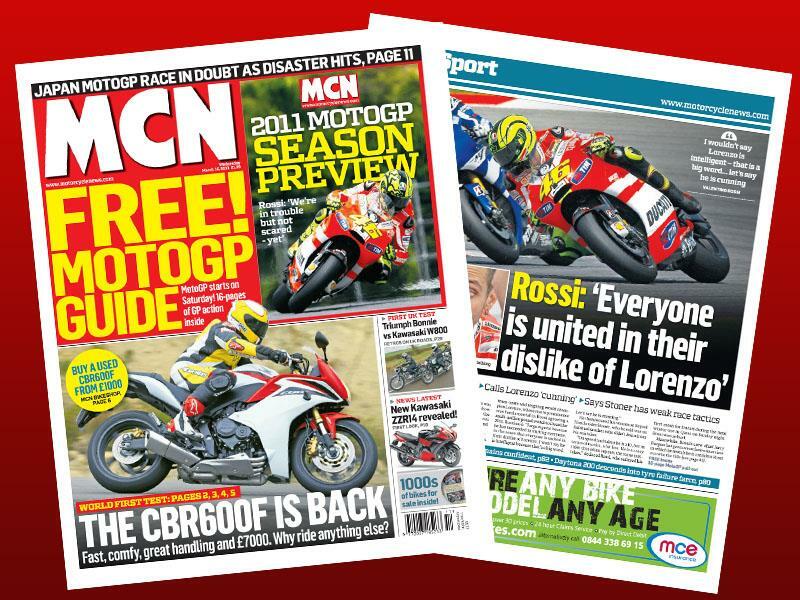 Prepare yourself for the 2011 MotoGP season with a free 2011 MotoGP season preview, ahead of the first round in Qatar this weekend. 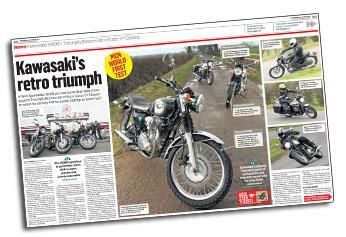 Also in this week's MCN, we test the Kawasaki W800 against the Triumph Bonneville and Moto Guzzi V7 Classic. 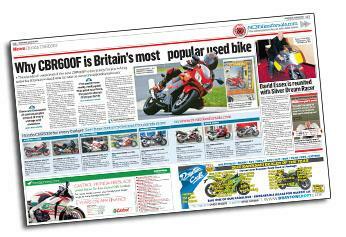 Can the new Honda CBR600F live up to the reputation of the popular old model? We ride the bike in Portugal to find out. 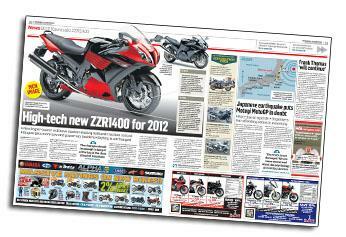 Kawasaki will launch a sophisticated new version of the ZZR1400 which will use all the electronic aids from the new ZX-10R. 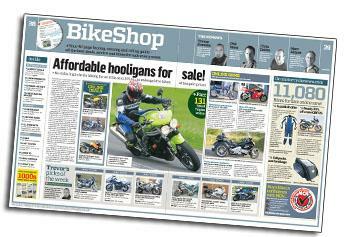 Summertime's almost here and it's time to get naked, with a host of hooligan-spec, stripped down sports bikes for sale on www.mcnbikesforsale.com. 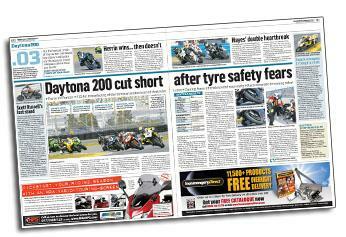 The Daytona 200 race is cut short after a £12.4million resurfacing of the famous circuit destroys tyres. 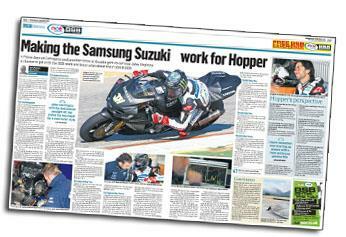 Three days at Cartagena and three at Guadix give ex-GP star John hopkins a chance to gel with the BSB team and learn a bit about the GSX-R1000.